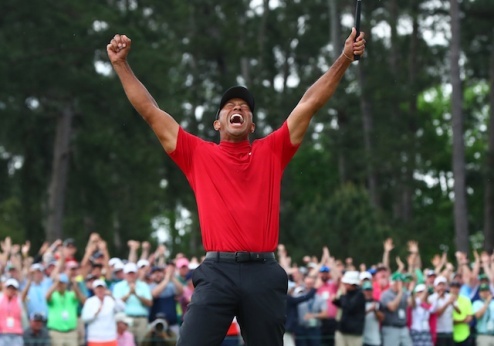 LAGOS APRIL 17TH (NEWSRANGERS)-Tiger Woods collected his 15th major win, and his fifth Masters, at the 2019 Masters Tournament on Sunday. The 43-year-old hadn’t won a major championship since 2008, when he triumphed at the U.S. Open. Besides donning the coveted green jacket, Woods earned a sizable paycheck: $2.07 million, which is the standard 18 percent of the total pot . When Woods won the tournament in 2001 and earned $1 million, he became the first winner to earn seven figures. Now, he’s the first Masters champion to earn more than $2 million. The prize money , which is split among the 87-player field, is distributed depending on final rank.